this age of Obama and Zimmerman? path towards black activism is a strong contrast to his father servitude. I relished seeing Oprah Winfrey on the big screen again because I loved her in The Color Purple. emotion. The role is too sketchy with unanswered questions. seems to be weighed down by expectations and a high budget (too many cooks in the kitchen?). 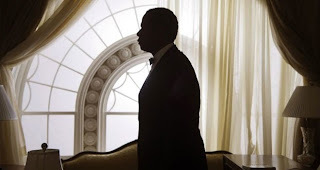 Seeing cameos of famous stars playing presidents was interesting but wound up a hindrance.